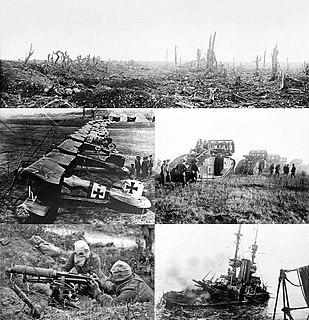 The Allies of World War I or The Entente is the term commonly used for the coalition that opposed the Central Powers of Germany, Austria-Hungary, the Ottoman Empire and Bulgaria during the First World War (1914–1918). The Conference opened on 18 January 1919. 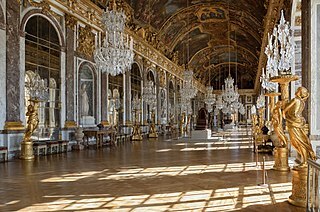 This date was symbolic, as it was the anniversary of the proclamation of William I as German Emperor in 1871, in the Hall of Mirrors at the Palace of Versailles, shortly before the end of the Siege of Paris  - a day itself imbued with significance in its turn in Germany as the anniversary of the establishment of the Kingdom of Prussia in 1701. The Delegates from 27 nations (delegates representing 5 nationalities were for the most part ignored) were assigned to 52 commissions, which held 1,646 sessions to prepare reports, with the help of many experts, on topics ranging from prisoners of war to undersea cables, to international aviation, to responsibility for the war. Key recommendations were folded into the Treaty of Versailles with Germany, which had 15 chapters and 440 clauses, as well as treaties for the other defeated nations. As the conference's decisions were enacted unilaterally, and largely on the whims of the Big Four, for its duration Paris was effectively the center of a world government, which deliberated over and implemented the sweeping changes to the political geography of Europe. Most famously, the Treaty of Versailles itself weakened Germany's military and placed full blame for the war and costly reparations on Germany's shoulders – the humiliation and resentment in Germany is sometimes considered[ by whom? ] one of the causes of Nazi electoral successes and indirectly a cause of World War II. The League of Nations proved controversial in the United States as critics said it subverted the powers of Congress to declare war; the U.S. Senate did not ratify any of the peace treaties and the U.S. never joined the League – instead, the Harding administration of 1921-1923 concluded new treaties with Germany, Austria, and Hungary. Republican Germany was not invited to attend the conference at Versailles. Representatives of White Russia (but not Communist Russia) were present. Numerous other nations did send delegations in order to appeal for various unsuccessful additions to the treaties; parties lobbied for causes ranging from independence for the countries of the South Caucasus to Japan's unsuccessful demand for racial equality amongst the other Great Powers. Hughes: "I represent sixty thousand dead. [While the much larger United States had suffered fewer deaths – 50,000.] 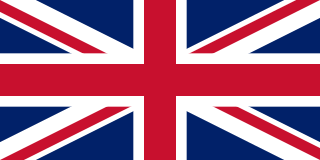 "
Although Britain reluctantly consented to the attendance of separate Dominion delegations, the British did manage to rebuff attempts by the envoys of the newly proclaimed Irish Republic to put its case to the Conference for self-determination, diplomatic recognition and membership of the proposed League of Nations. The Irish envoys' final "Demand for Recognition" in a letter to Clemenceau, the Chairman, was not answered. Britain had planned to legislate for two Irish Home Rule states (without Dominion status), and did so in 1920. In 1919 Irish nationalists were unpopular with the Allies because of the Conscription Crisis of 1918 [ citation needed ]. The French Prime Minister, Georges Clemenceau, controlled his delegation and his chief goal was to weaken Germany militarily, strategically and economically. Having personally witnessed two German attacks on French soil in the last forty years, he was adamant that Germany should not be permitted to attack France again. In particular, Clemenceau sought an American and British guarantee of French security in the event of another German attack. The Germans rejected the French offers because they considered the French overtures to be a trap to trick them into accepting the Versailles treaty "as is" and because the German foreign minister, Count Ulrich von Brockdorff-Rantzau thought that the United States was more likely to reduce the severity of the peace terms than France. In the final event it proved to be Lloyd George who pushed for more favourable terms for Germany. Prior to Wilson's arrival in Europe in December 1918, no American president had ever visited Europe while in office. Wilson's Fourteen Points, of a year earlier, had helped win the hearts and minds of many as the war ended; these included Americans and Europeans generally, as well as Germany, its allies and the former subjects of the Ottoman Empire specifically. Once Wilson arrived, however, he found "rivalries, and conflicting claims previously submerged". He worked mostly trying to sway the direction that the French (Georges Clemenceau) and British (Lloyd George) delegations were taking towards Germany and its allies in Europe, as well as the former Ottoman lands in the Middle East. Wilson's attempts to gain acceptance of his Fourteen Points ultimately failed, after France and Britain refused to adopt some specific points and its core principles. In Europe, several of his Fourteen Points conflicted with the other powers. The United States did not encourage or believe that the responsibility for the war that Article 231 placed on Germany was fair or warranted. It would not be until 1921 that the United States finally signed separate peace treaties with Germany, Austria, and Hungary. France and Britain tried to appease the American President by consenting to the establishment of his League of Nations. 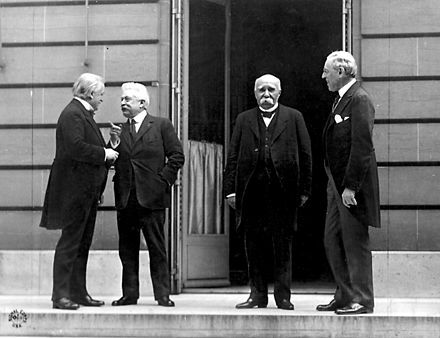 However, because isolationist sentiment was strong and some of the articles in the League's charter conflicted with the United States Constitution, the United States never ratified the Treaty of Versailles nor joined the League of Nations,  which President Wilson had helped create, to further peace through diplomacy rather than war and conditions which can breed it. Under President Warren Harding the United States signed separate treaties with Germany,  Austria,  and Hungary  in 1921. Venizelos proposed the Greek expansion on Thrace and Asia Minor (lands of the defeated Kingdom of Bulgaria and Ottoman Empire), Northern Epirus, Imvros and Tenedos, aiming to the realization of the Megali Idea . He also reached an agreement with the Italians on the cession of the Dodecanese (Venizelos–Tittoni agreement). For the Greeks of Pontus he proposed a common Pontic-Armenian State. While Russia was formally excluded from the Conference,  despite having fought the Central Powers for three years, the Russian Provincial Council (chaired by Prince Lvov  ), the successor to the Russian Constituent Assembly and the political arm of the Russian White movement attended the conference. It was represented by the former Tsarist minister Sergey Sazonov  who, if the Tsar had not been overthrown, would most likely have attended the conference anyway. The Council maintained the position of an indivisible Russia, but some were prepared to negotiate over the loss of Poland and Finland. The Council suggested all matters relating to territorial claims, or demands for autonomy within the former Russian Empire, be referred to a new All-Russian Constituent Assembly. The San Remo conference was an international meeting of the post-World War I Allied Supreme Council as an outgrowth of the Paris Peace Conference, held at Villa Devachan in Sanremo, Italy, from 19 to 26 April 1920. Resolutions passed at this conference determined the allocation of Class "A" League of Nations mandates for the administration of former Ottoman three territories in the Middle East: Palestine, Syria and Mesopotamia. 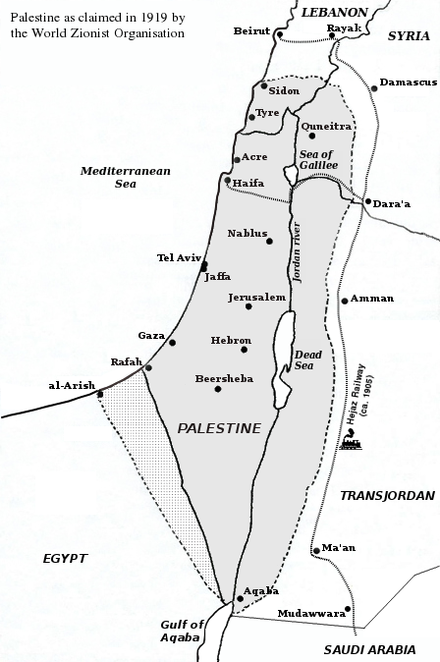 Whilst Syria and Mesopotamia were provisionally recognized as states, Palestine was not. The Shandong Problem was a dispute over Article 156 of the Treaty of Versailles in 1919, which dealt with the concession of the Shandong Peninsula. It was resolved in China's favour in 1922. Paris Economy Pact was an international economic agreement reached at the Paris Economic Conference held from 14 June 1916 in Paris, France. The meeting, held at the height of World War I, included representatives of the Allied Powers: United Kingdom, France, Italy, Japan, and Russia. The Racial Equality Proposal was an amendment to the treaty under consideration at the 1919 Paris Peace Conference offered by Japan. The racial equality proposal was never intended to have any universal implications, although one was attached to it anyway, which drove its contentiousness at the conference. Foreign Minister Uchida stated in June 1919 that the racial equality proposal was not intended to demand universal racial equality of all coloured peoples, but only for members of the League of Nations. Though broadly supported, it did not become part of the Treaty of Versailles, largely because of the opposition of Australia and the United States, two powers with long established de jure and de facto systems of racial discrimination and policies of white supremacy. Its rejection led to the alienation of Japan from the other great powers and increased nationalism leading up to World War II. The principle of racial equality would be revisited after the Second World War and be incorporated into the United Nations Charter in 1945 as the fundamental principle of international justice. Despite that several countries, including the two aforementioned powers would retain officially sanctioned racial laws and policies for decades afterwards. A Peace Conference at the Quai d'Orsay is an oil-on-canvas painting by Irish artist William Orpen, completed in 1919. It was one the paintings commissioned from Orpen to commemorate the Paris Peace Conference in 1919. The work is held by the Imperial War Museum in London. The Signing of Peace in the Hall of Mirrors, Versailles, 28 June 1919 is an oil-on-canvas painting by Irish artist William Orpen, completed in 1919. It was one the paintings commissioned from Orpen to commemorate of the Peace Conference at Versailles in 1919. The work is held by the Imperial War Museum in London. ↑ Michael S. Neiberg (2017). The Treaty of Versailles: A Concise History. Oxford University Press. p. ix. ISBN 978-0-19-065918-9. ↑ Goldstein, Erik (2013-10-11). The First World War Peace Settlements, 1919-1925. Routledge. ISBN 9781317883678. ↑ Ziolkowski, Theodore (2007). "6: The God That Failed". Modes of Faith: Secular Surrogates for Lost Religious Belief. Accessible Publishing Systems PTY, Ltd (published 2011). p. 231. ISBN 9781459627376 . Retrieved 2017-02-19. [...] Ebert persuaded the various councils to set elections for 19 January 1919 (the day following a date symbolic in Prussian history ever since the Kingdom of Prussia was established on 18 January 1701). ↑ Meehan, John David (2005). "4: Failure at Geneva". The Dominion and the Rising Sun: Canada Encounters Japan, 1929-41. Vancouver: UBC Press. pp. 76–77. ISBN 9780774811217 . Retrieved 2017-02-19. As the first non-European nation to achieve great-power status, Japan took its place alongside the other Big Five at Versailles, even if it was often a silent partner. ↑ Andrew J. Crozier, "The Establishment of the Mandates System 1919–25: Some Problems Created by the Paris Peace Conference," Journal of Contemporary History (1979) 14#3 pp 483–513 in JSTOR. ↑ Wm Louis, Roger (1966). "Australia and the German Colonies in the Pacific, 1914–1919". Journal of Modern History. 38 (4): 407–421. doi:10.1086/239953. JSTOR 1876683. ↑ Mungo MacCallum (2013). The Good, the Bad and the Unlikely: Australia's Prime Ministers. Black Inc. p. 38. ↑ Zara S. Steiner (2007). The Lights that Failed: European International History, 1919–1933. Oxford UP. pp. 481–82. ↑ Shimazu (1998), pp. 14–15, 117. ↑ "Official Memorandum in support of Ireland's demand for recognition as a sovereign independent state. Presented to Georges Clemenceau and the members of the Paris Peace Conference by Sean T O'Ceallaigh and George Gavan Duffy from O Ceallaigh Gavan Duffy to George Clemenceau – June 1919. – Documents on IRISH FOREIGN POLICY". ↑ John C. Hulsman (2009). To Begin the World Over Again: Lawrence of Arabia from Damascus to Baghdad. pp. 119–20. ↑ Snelling, R. C. (1975). "Peacemaking, 1919: Australia, New Zealand and the British Empire Delegation at Versailles". Journal of Imperial and Commonwealth History. 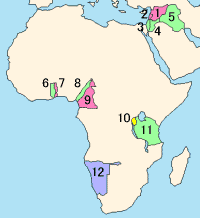 4 (1): 15–28. doi:10.1080/03086537508582446. ↑ Fitzhardinge, L. F. (1968). "Hughes, Borden, and Dominion Representation at the Paris Peace Conference". Canadian Historical Review. 49 (2): 160–169. doi:10.3138/chr-049-02-03. ↑ Ambrosius, Lloyd E. (1972). "Wilson, the Republicans, and French Security after World War I". Journal of American History. 59 (2): 341–352. doi:10.2307/1890194. JSTOR 1890194. 1 2 Trachtenberg, Marc (1979). "Reparation at the Paris Peace Conference". Journal of Modern History. 51 (1): 24–55 [p. 42]. doi:10.1086/241847. JSTOR 1877867. 1 2 Trachtenberg (1979), page 43. ↑ MacMillan (2001), p. 3. ↑ MacMillan, Paris 1919 (2001), p. 6. ↑ Ellis, William (3 December 1922). 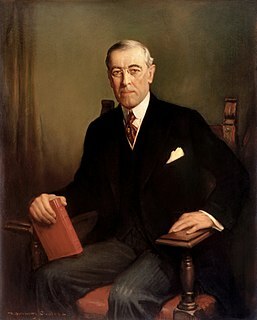 "CRANE AND KING'S LONG-HID REPORT ON THE NEAR EAST - American Mandate Recommended in DocumentSent to Wilson.PEOPLE CALLED FOR USDisliked French, DistrustedBritish and Opposed theZionist Plan.ALLIES AT CROSS PURPOSES Our Control Would Have Hid Its Seat in Constantinople, Dominating New Nations. - Article - NYTimes.com". New York Times. ↑ Rubenberg, Cheryl (1986). Israel and the American National Interest: A Critical Examination. University of Illinois Press. p. 27. ISBN 0-252-06074-1. ↑ MacMillan (2001), p. 83. ↑ "First World War.com – Primary Documents – U.S. Peace Treaty with Austria, 24 August 1921" . Retrieved 30 September 2015. ↑ "First World War.com – Primary Documents – U.S. Peace Treaty with Hungary, 29 August 1921" . Retrieved 30 September 2015. ↑ Gordon Lauren, Paul (1978). "Human Rights in History: Diplomacy and Racial Equality at the Paris Peace Conference". Diplomatic History. 2 (3): 257–278. doi:10.1111/j.1467-7709.1978.tb00435.x. ↑ "Racial Equality Amendment, Japan". encyclopedia.com. 2007. Retrieved 12 January 2019. ↑ Yakovenko, Natalya (2002). "Ukraine in British Strategies and Concepts of Foreign Policy, 1917–1922 and after". East European Quarterly. 36 (4): 465–479. ↑ Моладзь БНФ. "Чатыры ўрады БНР на міжнароднай арэне ў 1918–1920 г." Archived from the original on 3 July 2013. Retrieved 30 September 2015. ↑ Fink, Carole (1996). "The Paris Peace Conference and the Question of Minority Rights". Peace and Change: A journal of peace research. 21 (3): 273–88. doi:10.1111/j.1468-0130.1996.tb00272.x. ↑ Fink, "The Paris Peace Conference and the Question of Minority Rights"
↑ Edmund Jan Osmańczyk (2003). Encyclopedia of the United Nations and International Agreements: A to F. Routledge. p. 1812. ↑ Suny, Ronald Grigor (1994). The making of the Georgian nation (2 ed.). Bloomington: Indiana University Press. p. 154. ISBN 0253209153. ↑ Hart-Landsberg, Martin (1998). Korea: Division, Reunification, & U.S. Foreign Policy Monthly Review Press. P. 30. ↑ Manela, Erez (2007) The Wilsonian Moment pp. 119–135, 197–213. ↑ Kim, Seung-Young (2009). American Diplomacy and Strategy Toward Korea and Northeast Asia, 1882–1950 and After pp 64–65. ↑ "The Avalon Project : The Palestine Mandate". ↑ Siegel, Mona L. (6 January 2019). In the Drawing Rooms of Paris: The Inter-Allied Women’s Conference of 1919. American Historical Association 133rd Meeting. ↑ "The Covenant of the League of Nations". Avalon project. Yale Law School - Lillian Goldman Law Library. ↑ First World War – Willmott, H. P., Dorling Kindersley, 2003, pp. 292–307. ↑ Hobsbawm 1992, p. 133. ↑ Hobsbawm 1994 , p. 67: "[T]he first Western reaction to the Bolsheviks' appeal to the peoples to make peace—and their publication of the secret treaties in which the Allies had carved up Europe among themselves—had been President Wilson's Fourteen Points, which played the nationalist card against Lenin's international appeal. A zone of small nation-states was to form a sort of quarantine belt against the Red virus. ... [T]he establishment of new small nation-states along Wilsonian lines, though far from eliminating national conflicts in the zone of revolutions, ... diminished the scope for Bolshevik revolution. That, indeed, had been the intention of the Allied peacemakers." From the other side of the political spectrum, John Lewis Gaddis likewise writes: "When Woodrow Wilson made the principle of self-determination one of this Fourteen Points his intent had been to undercut the appeal of Bolshevism" (Gaddis 2005 , p. 121). This view has a long history, and can be summarised by Ray Stannard Baker's famous remark that "Paris cannot be understood without Moscow." See McFadden 1993 , p. 191. ↑ Antony Lentin, "Several types of ambiguity: Lloyd George at the Paris peace conference." Diplomacy and Statecraft 6.1 (1995): 223-251. Hobsbawm, E.J. (1994). The Age of Extremes: The Short Twentieth Century, 1914–1991 . London: Michael Joseph. ISBN 978-0718133078. Wikimedia Commons has media related to Paris Peace Conference, 1919 .